Changing the Pollen Filter on the Jaguar X Type is a relatively simple process, allow about 30-40 minutes if all goes well. The Pollen filter is located under the bonnet (hood) at the rear of the engine bay. Stand in front of the car and it is on the right hand side, under the plenum cover. 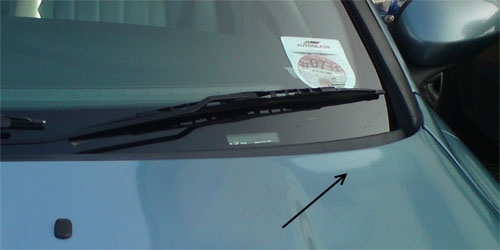 It is possible to replace the filter without removing the window wiper arms by just lifting the front of the plastic cover, this is not recommended due to the possibility of causing damage to the cover, windscreen (windshield) or both. 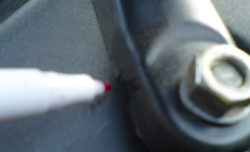 Removing the wiper arms is a fairly straight forward process that allows full access to the Plenum area. 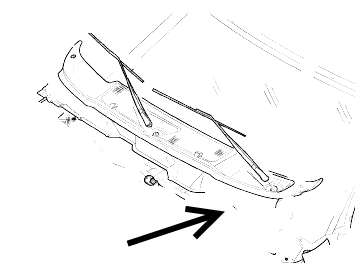 Open the bonnet and flip up the covers on the base of the wiper arms, under these you will see a 13mm nut securing the wipers to the actuators. It is advisable to mark the position of each arm prior to removing it with a small felt tip pen (just a dot) this makes refitting much easier.